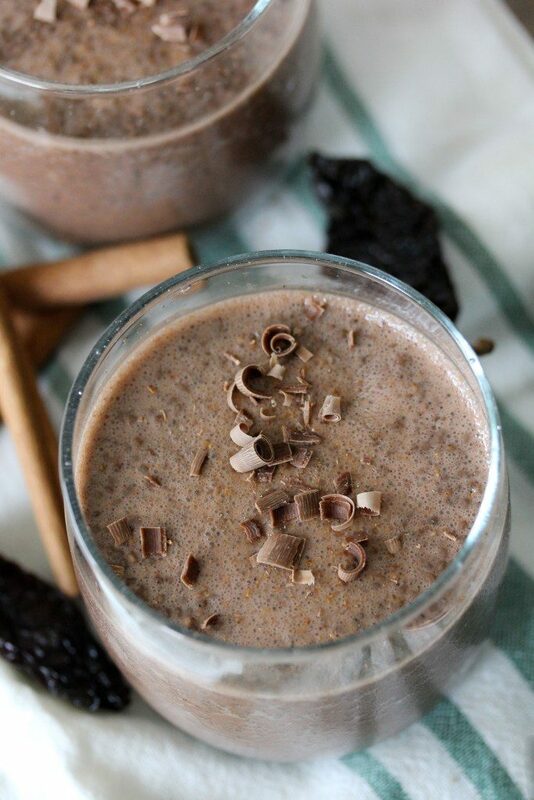 An easy-to-make paleo Mexican Hot Chocolate Protein Chia Pudding from the Whole Smiths in collaboration with Rootz Nutrition. 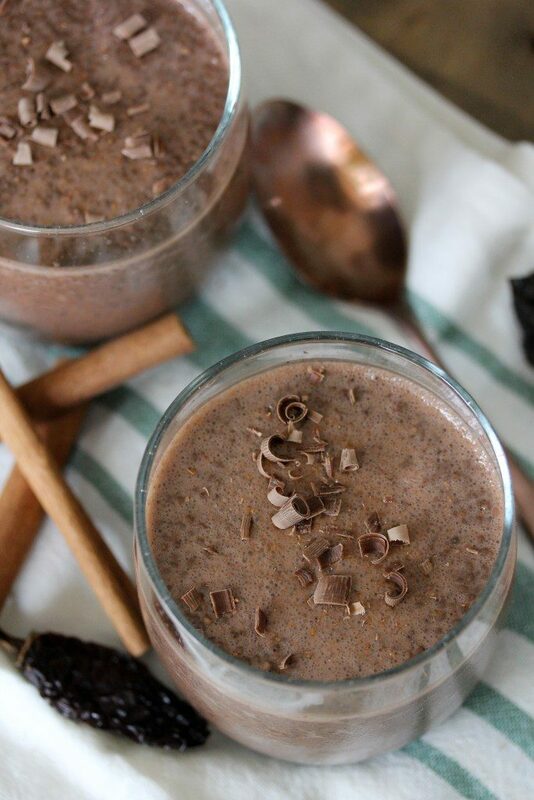 Welcome to your new favorite chia pudding recipe. Is that a bold statement to make? Yeah? Well I stand by it. 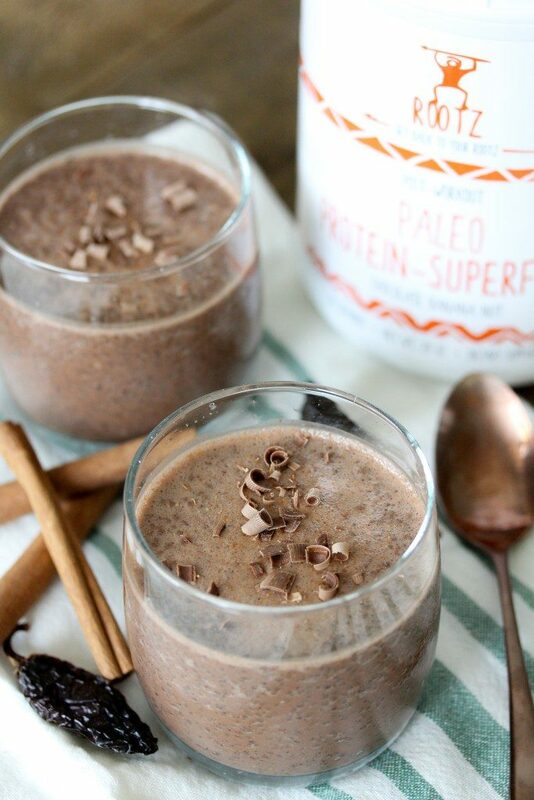 This is hands down my new go-to chia pudding recipe and I am certain you’re going to love it. Ch-ch-ch-chia! Why doesn’t everyone make chia pet jokes when we’re talking about chia pudding? It’s so catchy. I sing it every time I make it. Maybe it’s because I’m the only one in the room old enough to remember those commercials? I’m going to choose not to believe that. Anyways, I love me some chia pudding. Chia pets, not so much. I love how easy a chia pudding is to whip up and how convenient it is for early mornings on the go. What I don’t love about chia pudding is that it doesn’t always feel too balanced, especially to start my day off. I often will add berries and coconut to it for some sort of plant/produce (because who on earth wants veggies on theirs?) and while the chia seeds add some major nutritional heft to it, I feel it’s lacking in protein. It makes me sad. As someone who tries to have some form of protein in every meal, it’s like a naked breakfast. What’s a girl to do? Umm, how about add some protein powder into it? 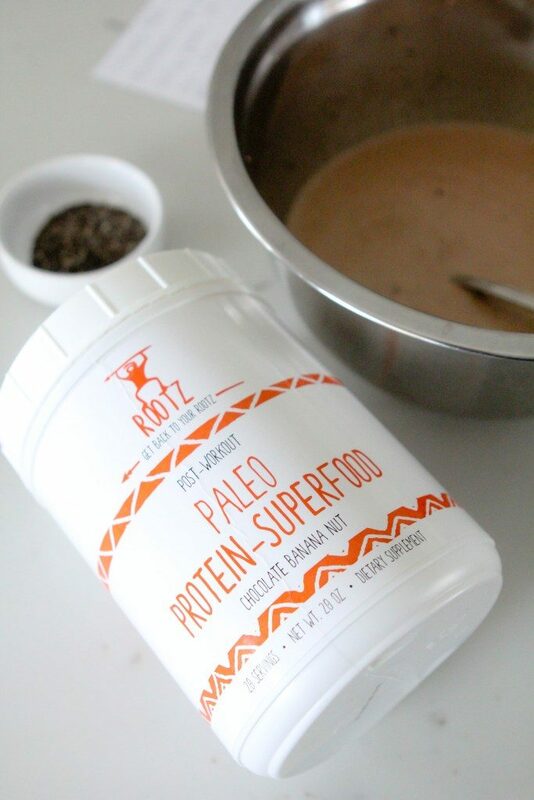 Particularly Rootz Nutrition Paleo Protein-Superfood. 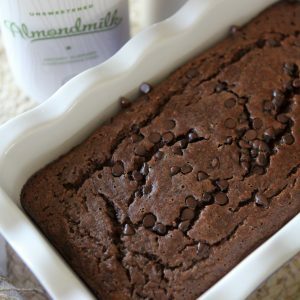 While this recipe will work with any protein powder most other protein powders skeeze me out. They’re often loaded with a shiz-ton of chemicals and lots of sweeteners (artificial included) and not much else. Rootz however has a super clean ingredient list and adds additional nutrient ingredients such as flax seeds, maca root, chlorella and more. To get a full list of Rootz’ ingredients head over here. I get asked all of the time what kind of protein powder I use and Rootz is the only one I’ll recommend. My whole family has been using it for awhile now and I feel 100% comfortable giving it to my kiddos. I add it into their smoothies all of the time and have even added it into my latte before and it worked! I spent awhile trying to decide what flavor I wanted this chia pudding to be. I knew I wanted to create a flavor that had a little kick to it. 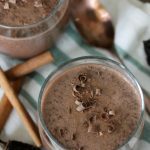 I always love a chocolate chia pudding but I wanted to add a little more complexity of flavor to this one. Without of course, adding any hard to find, funky ingredients. And Mexican Hot Chocolate is where I landed! In case you’re unfamiliar with what makes Mexican Hot Chocolate different from regular hot chocolate, in short, it’s in the spices. Cinnamon in particular. In addition to cinnamon I also added a bit of cayenne for a tiny little kick. But don’t worry, by no means is this chia pudding hot and spicy. It just gives a little extra boost of flavor at the end. Don’t be scared and skip it, trust me. To get the full effect of the deliciousness of this recipe leave it in! One chia pudding tip I have for you is this; stir the chia seeds into your liquid in a large bowl and let it sit for a few minutes prior to pouring the pudding mix into their containers or jars. This gives the chia seeds a little more time to gel. What happens if you pour it into the jars right away is that the chia seeds have a tendency to sink to the bottom if they haven’t started to gel up a bit. So mix, mix, mix and let it sit for a few minutes. Then mix, mix, mix again and then pour. Got it? Cool! 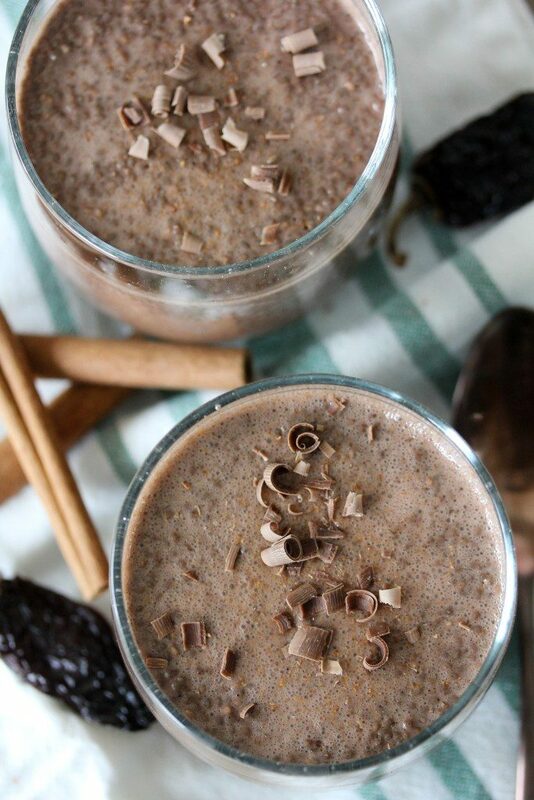 And while you’re at it, don’t forget to check out my Spinach and Cacao Smoothie I made using my Rootz Protein-Superfood HERE. 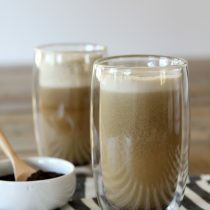 Add the almond milk, protein and cocoa powder, maple syrup, cinnamon, cayenne and vanilla extract to a blender and blend on high for 10 seconds until all ingredients are incorporated. Pour the mixture into a large bowl and add the chia seeds. Stir the chia seeds into the liquid for about one minute and let it rest for 3-4 minutes. Stir the chia pudding for an additional minute and pour into containers. Let the chia pudding chill and set in the refrigerator for 6 hours prior to serving. 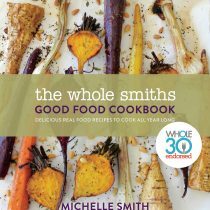 Would this work with coconut milk? I stay away from nuts due to autoimmune conditions.